Whether you're renting a bike or doing a tour, we are happy to share with you some companies that may be useful during your time in Israel. Jerusalem and Tel Aviv, SANDEMANs New Europe Tours is committed to providing everyone, no matter what their budget, with the best tour available. This site will provide regularly updated information regarding facilities for bikers on various subjects such as rentals, transportation, repair and spare parts. Tourist Israel is always looking for fresh, interesting things to write about as well as talented guest writers and bloggers to add to their great team. If you feel they've missed something, or have something new to tell them about, they'd love to hear from you. 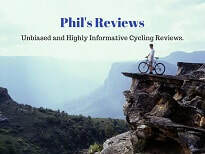 Visit Phil's Reviews before making your next bicycle related purchase. You will find informative reviews not just on bikes but also cycling gear as well. So whether you are looking for the best single speed bike, the best bike rack or a comfortable pair of padded bike shorts, you won't be disappointed. Some niches are waiting eagerly to be filled, and some people are looking for niches they are passionate about filling. It is a wonderful thing when the two come together, and this is just what we are seeing in Abraham Hostel Jerusalem. In a city craving visitors, and quality affordable places for them to stay, Abraham Hostel Jerusalem and its founders are excited to be on the forefront of reviving the presence and experience of independent backpackers in Jerusalem, Israel, and the Middle East. I-Bike is a cyclist lodge in the south with tons of resources for cyclists. Hoo-Ha is a Cyclists Hotel in the north with innovative accommodations for traveling cyclists. Established in 1948 as the national Israel Airlines, ElAl has grown into a prestigious international carrier. Ramada Netanya is situated on the Mediterranean shore in one of Israel’s most popular tourist resorts. Close to major commercial and entertainment centers, and with easy access to main transportation routes, a stay at Ramada Netanya means you can actively participate in the dynamic Israeli business culture while simultaneously enjoying the laid-back, relaxing Mediterranean lifestyle. With remarkable sea views, unrestricted beach entry and free covered parking, Ramada Netanya is your private paradise, giving you the best of every world.